Forex Trading For profit is a leading source of forex related information. Learn Forex trading here from beginner to advanced. Learn how to create automated systems, choose the correct forex broker, and all about momey management. Start your forex trading journey here! 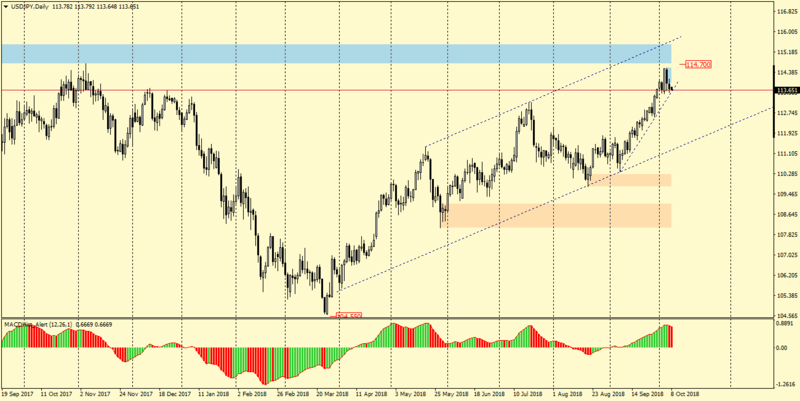 The post CADJPY – long term trend line rejected – 04/03/2019 appeared first on Forex Trading For Profit. 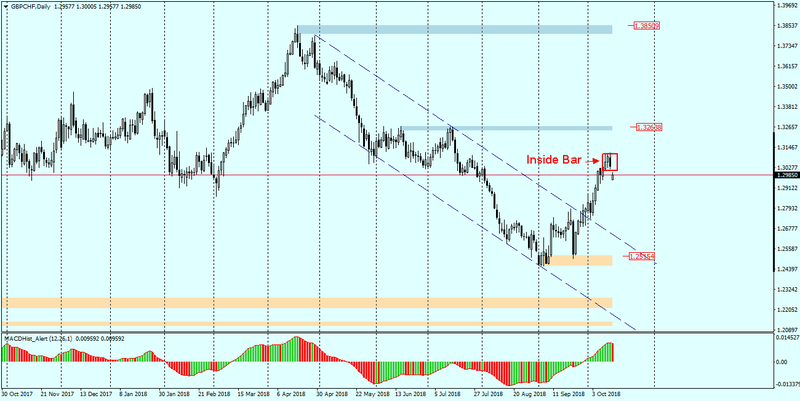 The post AUDJPY – continuation of increases after breaking the channel? – 27/11/18 appeared first on Forex Trading For Profit. The post Four major mistakes in price action trading appeared first on Forex Trading For Profit. The post Money is not the primary goal for the trading business appeared first on Forex Trading For Profit. EURUSD – After setting a maximum of 1.2555 in January this year, the pair moved until mid-April in a wide 300p consolidation and at the end of April overcome its lower limit and moved dynamically to the south. After reaching the level of 1.1500, it again started to move in consolidation, from which in August made a breakout ended with the establishment of a minimum of this year at 1.1295. 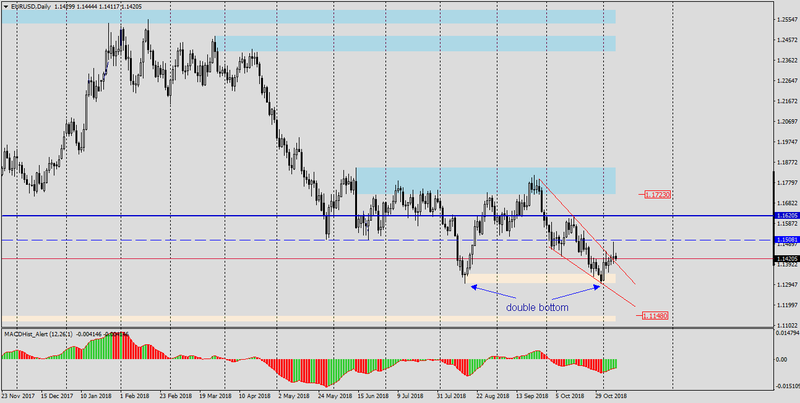 On the last day of October, the pair again visited this level by creating double bottom formations (Chart D1). Such formations are usually a signal of change in the trend. When analyzing the H4 chart of the EURUSD pair, we will notice that since the end of September this year quotations are located quite accurately in a descending wedge, from which yesterday (07.11) there was a dynamic breakout thru the top. Currently, the price is moving towards the defeated resistance of the wedge, which is now a support. It seems very likely that increases will be continued, and the level negating the upward scenario, i.e. in our case SL level, will be the demand zone starting at 1.1380. The goal for increases can be a round level of 1.1500. Macro data – today’s (18:00 GMT) FED meeting on which US interest rate decisions will be taken should also be taken into account. It is expected that there will be no interest rate hike, the message issued after the announcement of the decision may have more impact on the movement of this pair. The post EURUSD – attempt to break from descending wedge – 08/11/18 appeared first on Forex Trading For Profit. 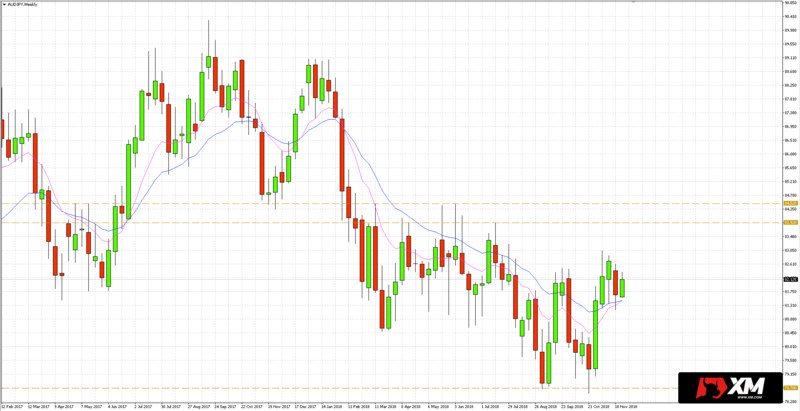 AUDUSD has been in a downward trend since the beginning of the year. Within 10 months the pair dropped 1,100p, setting last Friday at the level of 0.7020 minimum of the year. Friday’s candle covered completely the Thursday candle, creating the formation of the Engulfing Bar called also Outside Bar The direction in which the price leaves the formation may be the key to the fate of this pair. 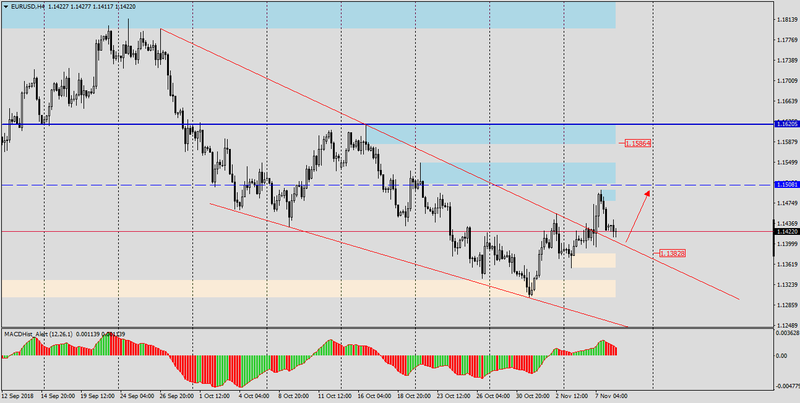 Looking at the H4 chart, we can determine at the level of 0.7055 strong local support (green zone). I would look for an opportunity to open a buy order as close as possible to the green support zone if the price reaches it. The second option is the confirmed break out from the OBar formation. In any case, SL should be below the lower limit of the formation, which is also the minimum of this year 0.7020. The post AUDUSD – 3 reasons to go Long – 29/10/18 appeared first on Forex Trading For Profit. 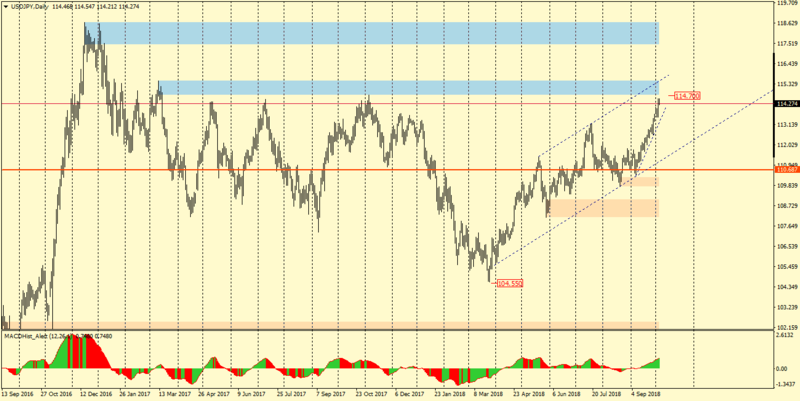 GBPCHF – The pair from mid-April this year moved in a bearish channel, which resistance and support were fairly well respected. 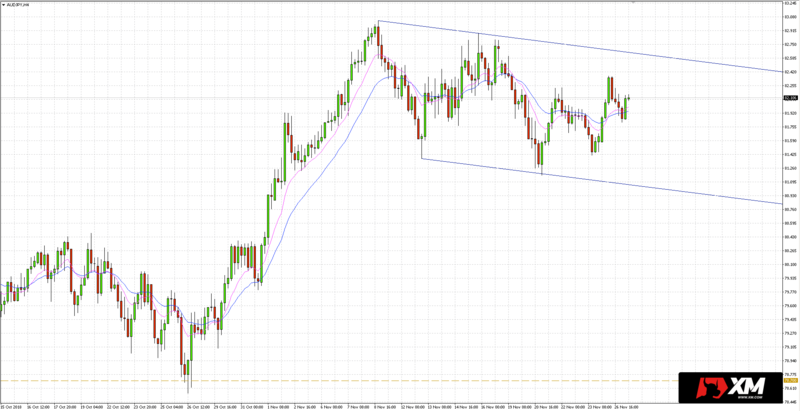 At the end of September, the resistance of the channel was broken and the price moved quite dynamically north. The last session of the last week ended with a bearish candle covering the preceding one creating Outside Bar formations (bearish engulfing), which usually results in a correction during the upward movement. Visit www.comparic.com for more analyses and educational stuff. On the enlarged chart day after day, two formations Price Action were created – Inside Bar created on Thursday and above mentioned Outside Bar. The Friday candle slightly broke out of the IB, but the quotes returned to the interior of the formation, signalling that it could be a falsey. Taking into account this combination of formations, a lot shows that it is a preview of possible falls. It is worth looking at the development of the situation on this pair and in the case of a successful IB test from below and the appearance of a maximum on the MACD try to go short where the upper limit IB can serve as a level for SL. 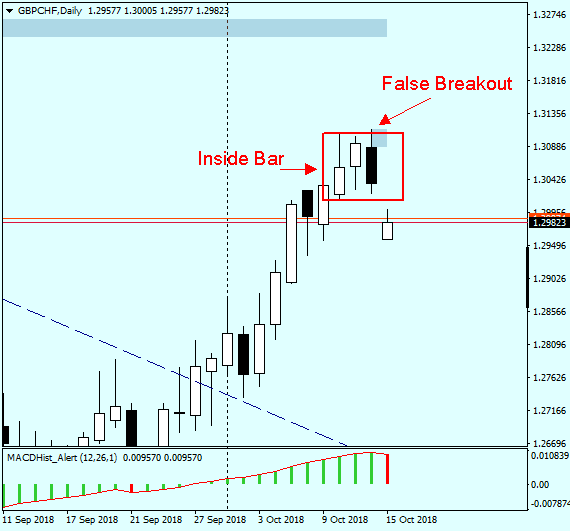 The post GBPCHF – Inside Bar 15/10/18 appeared first on Forex Trading For Profit. 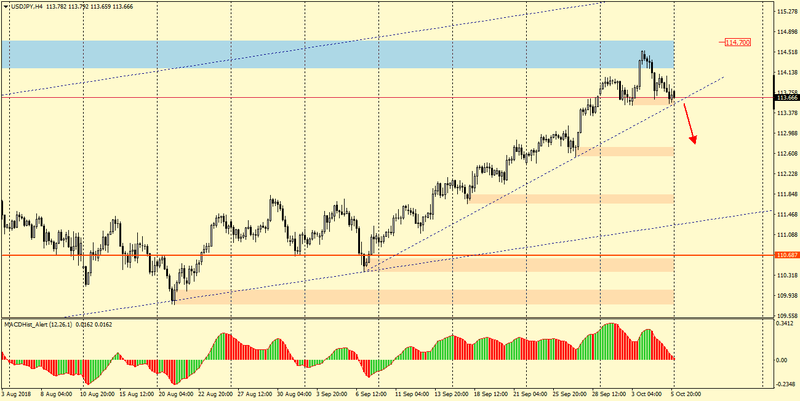 The post USDJPY – will the correction be continued? – 08/10/18 appeared first on Forex Trading For Profit. 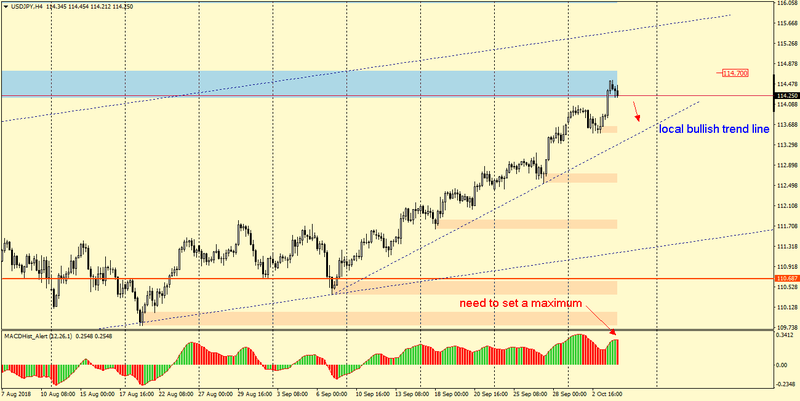 The post USDJPY – time for a correction? – 04/10/18 appeared first on Forex Trading For Profit. The post Some important facts about the Forex trading business appeared first on Forex Trading For Profit.